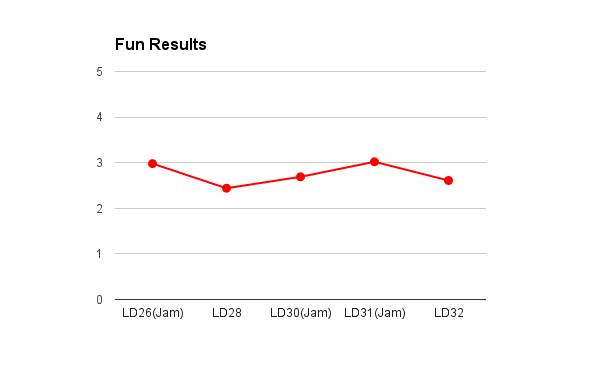 So the judging period for Ludum Dare 32 just finished recently and I thought I might do a little analysis of how I did for my entry Beacons, talking about where I’ve done well and where I didn’t do so well at (For the post-mortem, click here). For this entry, the majority of people who played and rated it had said that they liked the concept and mechanics but didn’t like the controls. 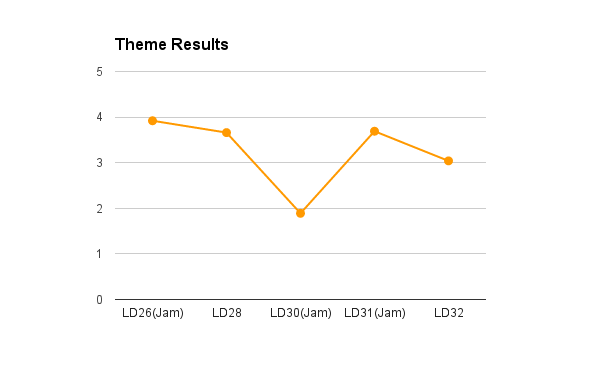 Another category that I seem to be strong at is Theme (usually scoring 3.24 on average). This is usually because I try to incorporate the theme into the gameplay mechanics of my entries as much as possible hence why my scores for theme and innovation are quite similar to each other and this entry is no different. Although some people liked the challenging gameplay of my entry, one major complaint about my game was that it was too difficult and complex to play. This is true as I didn’t have any time to balance the gameplay elements. 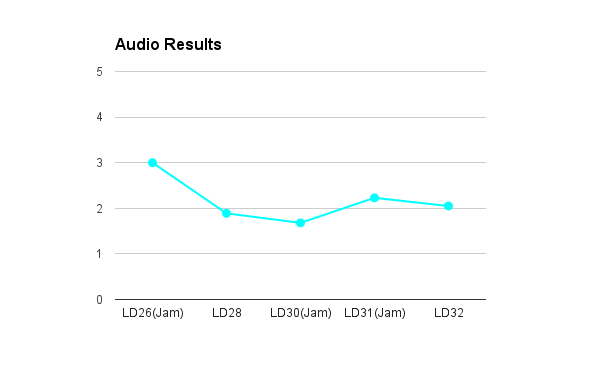 Out of all the categories, the two that I always seem to do the worst at in Ludum Dare are Graphics and Audio. 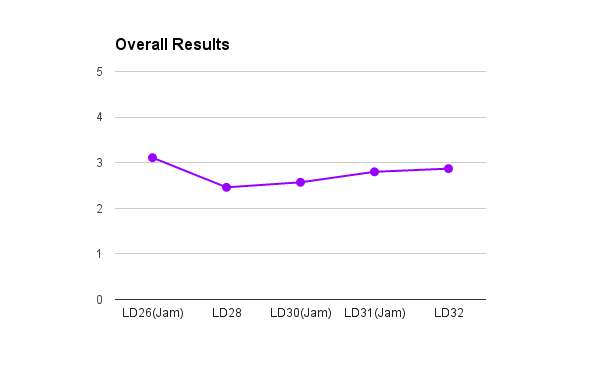 This is because I am primarily a programmer and neither an artist or audio engineer since my skills in those two fields are pretty much non-existent hence why all my main Ludum Dare games have either really crude 2d art or use 3d primitives and mostly have sound effects generated by BFXR. One recurring pattern that seems to appear in all of my Ludum Dare games so far is that whilst they have very unique (if gimmicky) gameplay elements, they all lack that element of polish and juice in order to truly stand out from the crowd. This is because I usually tend to start on the game idea first and save the UI, menus and any other extra elements for polishing my game up last but most of the time, I end up allocating too much time to the former and end up having very little time to do the latter. If I was collaborating with others (e.g. for the 72hr jam) then this wouldn’t be a problem as we can offset our workloads (i.e. I can concentrate on the code whilst my teammates can focus on the graphic and audio) but if I was working solo (e.g. for the 48hr compo) then I clearly need to organise my time better. 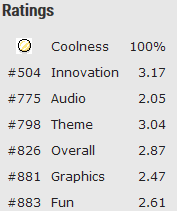 In conclusion, despite doing better in some categories (and worse in others) compared to my last entry, I think I did a pretty ok job with this one since most of the people who played and rated it have said that they liked the game idea (even though it’s unfairly balanced). 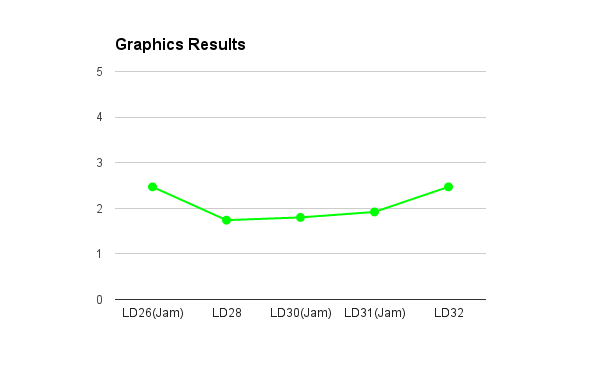 For the next Ludum Dare (which is happening on the 21st-24th of August), I am thinking of entering the 72hr jam with friends who are better than I am at graphics and audio in order to offset the lack of skill I have in those two departments. The extra time should hopefully allow us to create something that is both playable and polished at the same time. 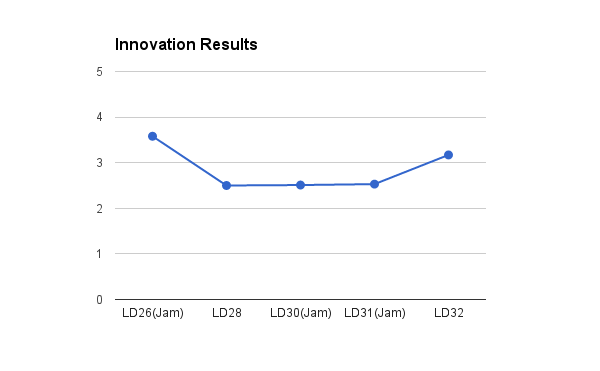 An increasing trend in Ludum Dare is that more people are entering the 72hr jam instead of the 48hr solo compo due to factors such as time (in fact, Ludum Dare 32 was the first time where there were more jam entries than compo ones). As mentioned before on my post-mortem for this entry, I am also thinking of using a different engine to keep things fresh (since it went free in March, I’ve playing around with Unreal Engine 4 and I’m even considering using it for a future game jam).